In March, people around the world watched as Ellen Pao’s lawsuit against Kleiner Perkins Caufield & Byers unfolded in a California courtroom. The details of the case are now widely known, even by people outside the business and high-tech sectors. Pao, now interim chief executive officer of Reddit, alleged that she experienced gender discrimination at Kleiner Perkins Caufiled & Byers where she was overlooked for promotions, given mixed messages about her performance, excluded from company activities, and forced to listen to lewd and sexist banter. While Pao ultimately lost the case, the high-profile lawsuit exposed much about the inner workings of Silicon Valley business culture. Among other things, the Kleiner Perkins Caufield & Byers lawsuit revealed the extent to which performance reviews matter. Pao’s lawyers also used her performance views as evidence. They maintained that rather than stand of evidence of Pao’s poor performance, the reviews stood as evidence of the pervasive sexist attitudes at the venture capital firm. Among other things, Pao’s legal team pointed to the contradictory portrait the performance reviews appeared to be constructing. On the one hand, she was not performing well because she was not assertive enough. On the other hand, she was not performing well because she was overly assertive. The lawyers also pointed out that the language used to denigrate Pao appeared to work to the advantage of the firm’s male partners who were promoted. In one case, a male partner was described as “highly aggressive and opinionated, which isn’t a bad thing per se.” In another case, a male partner was described as “territorial” and “quite tough on the team,” but these characterizations were not to his detriment. The fact that certain qualities were seen as potential attributes for male partners and a notable deficit for Pao is by no means news. Numerous studies have discovered that women in business, especially at the highest levels, are often subject to harsher reviews and even judged differently than their male counterparts for similar behaviors. While the debate about Pao’s allegations against Kleiner Perkins Caufield & Byers will likely continue outside the courtroom in the wake of the trial, there is no question that the venture capital firm could have been more careful in the construction of their performance reviews. So how does one avoid the mistakes made by Kleiner Perkins Caufield & Byers? Be comprehensive: A performance review should offer a complete rather than partial profile of an employee; avoid fixating on one or two problem areas. Summarize ongoing and informal feedback: Use the review as an opportunity to put informal feedback into writing. On the same note, ensure that performance reviews happen on an ongoing basis and not simply at pivotal moments (e.g., when someone is about to come up for a promotion or contract renewal). Be honest: In the end, being overly effusive on a performance review will only hurt the employee, manager and the organization. While it may be difficult, it is important to be honest. If you’re listing areas for improvement, be specific and provide suggestions on how to achieve the goals in question. Being honest, however, does not mean being scathing or insensitive. 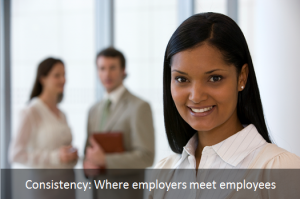 Be consistent: Have clear review criteria and apply it consistently to all employees. As we all learned during the Kleiner Perkins Caufield & Byers lawsuit, if different criteria is applied to different employees during performance reviews, organizations risk landing in a legal minefield.